Corresponding from camp has never been easier! 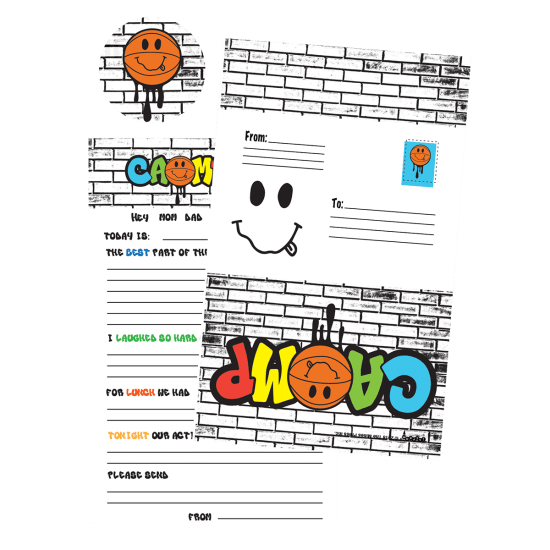 Our camp fun fill-in foldover cards feature a cool, colorful design and sentence starters that make sending notes home a breeze. These self-mailer cards come in an eight pack with stickers to secure them closed.